DUBAI, United Arab Emirates--(BUSINESS WIRE)--Dubai-based conglomerate, Aster DM Healthcare, have formally launched its newly upgraded Quaternary Care Super-specialty healthcare facility Aster CMI Hospital at Hebbal, Bengaluru. • The Aster CMI Hospital is the epitome of advanced modern healthcare with dedicated Centers of Excellence in Cardiac-Sciences, Neuro-Sciences, Gastro-Sciences, General & Lapro Surgery, Integrated Liver Care, Organ Transplant, Urology & Nephrology, Orthopaedics, Women, Child and Adolescent Health. 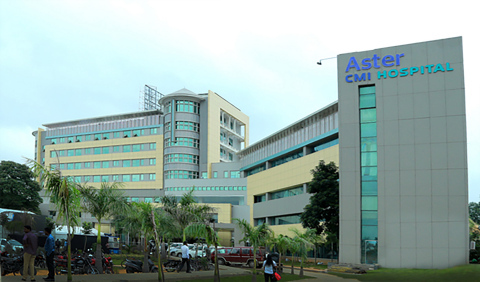 • Aster CMI Hospital features cutting-edge technology such as 3 Tesla MRI, 128 Slice CT Scanner and a Hybrid Cath lab. ▪ The Hospital was inaugurated by legendary cricketer Shri Sachin Tendulkar in the presence of Dr. Azad Moopen, Chairman & Managing Director of Aster DM Healthcare and several dignitaries. Aster DM Healthcare took over the operations of Cauvery Medical Centre in May 2014 and revamped the facility to a quaternary care multi-Specialty facility with now 509 beds & many centers of excellence. It can now cater to the requirements of Regional, National & International patients seeking quality & affordable healthcare services at Hebbal in Bangalore - the IT capital of India, well connected to the International Airport. Aster CMI also has a well-designed outpatient department offering preventive, diagnostic, curative and rehabilitative services. The comprehensive services include immunisation, health screening, laboratory and radiology services and minor surgical procedures.